I am starting to think through how the gears are going to move in the Praying Machine. I made a jig that lets me try out moving gear ideas. Last time I posted about automata, I mentioned Dug North. I have found another maker that is also incredibly inspiring. Take a look at the work of Keith Newstead. He has a blog here. Just looking at his work makes me happy. The process of making my machine is as enjoyable as any thing I have ever made – probably better. I will keep you posted on the progress. I plan to sell this piece on Etsy when it is completed. 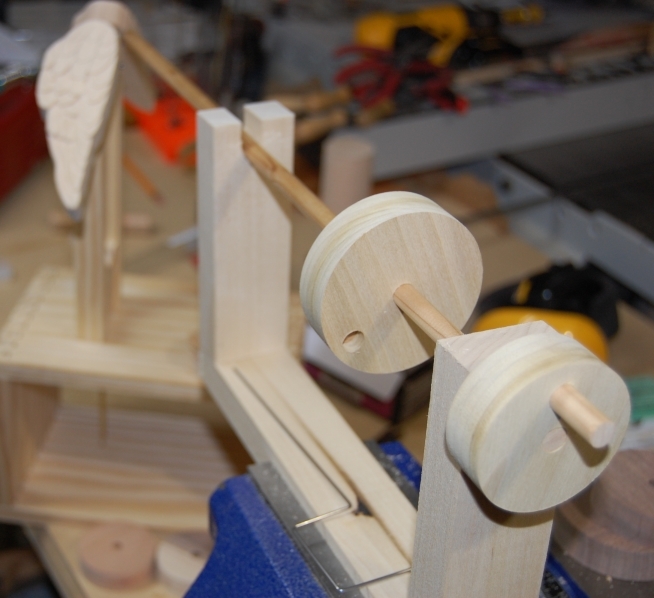 This entry was posted on March 29, 2010 at 1:45 am and is filed under Automata, Toy Making. You can follow any responses to this entry through the RSS 2.0 feed. You can leave a response, or trackback from your own site.